So, you realized you may have an employment discrimination claim. If you’re at the point where you’ve gotten your ducks in a row and filed a Charge of Discrimination with the U.S. Equal Employment Opportunity Commission (EEOC) and/or Florida Commission on Human Relations (FCHR), you may then be wondering, what happens next? At first glance, navigating these matters can be daunting and confusing. However, the processes are actually much more streamlined than you might expect. To help you understand the processes for both federal and state employment discrimination claims, we will go through steps for each. Initially, we note that Florida is a “dual filing” state, meaning that if you file a Charge of Discrimination with the EEOC, it is considered to also have been filed with the FCHR. It is important to ensure that you are aware of the deadlines to file your Charge. While Florida may allow for dual filing, the EEOC requires that your charge is filed within 300 days of the discrimination or adverse action, whereas the FCHR requires it is filed within 365 days. As such, if you are beyond a 300 day statute of limitations, you may consider filing directly with the FCHR, so as to avoid any issues with whether your Charge is timely filed. Failure to timely file your Charge can result in you losing your right to bring that claim forever. In other words, if you do not file your Charge within the required deadlines, you may lose the abilities to ever file a lawsuit or get further relief for your issues of discrimination, harassment, or retaliation. We do recommend that you notarize your charge when filing with either Agency. For questions about how to file a Charge, when to file a Charge, or what should be included, contact an experienced employment law attorney or reach out to the EEOC or FCHR for additional information. After you file your Charge, the processing of the Charge and investigation will be assigned to an equal employment agency, such as the FCHR, the EEOC, or even your local county Office of Equal Opportunity (like the Palm Beach OEO). Charge will immediately be sent for further investigation. Investigation will find a violation of the law, which will lead immediately to a conciliation attempt. In the event the investigator determines that a violation of the law has occurred, the investigator may elect to make a “conciliation attempt” or engage in “Conciliation” between the parties (settlement negotiations). If Conciliation is successful, then an agreement is reached and the charge will be closed. However, if the conciliation fails, then the EEOC either will file a lawsuit based on the charge or will close the charge and issue a Notice of Right to Sue to the plaintiff. In the event you receive a Right to Sue, it is imperative you take immediate action, or you may forever lose the abilities to move forward with those claims. Typically, you have 90 days from the date of receiving the Right to Sue to file a lawsuit. If you received a Right to Sue and are unsure or your rights or seeking representation, it is important you immediately seek consult from an experienced employment law attorney. Complaint will be reviewed. Depending upon whether the complaint is process ready, the FCHR may attempt to obtain more information about the claim, will determine that there is insufficient information to begin an investigation, or will determine that there is sufficient information to begin an investigation. If information is believed to be insufficient, the case may be dismissed. In some cases, depending on the nature of the complaint, it may be referred to the EEOC. Complaint will be investigated. If there is sufficient information to start an investigation, then the complaint will move forward. If both parties agree to mediation, mediation will be attempted. If it is successful, or if the complaint is withdrawn, the case will be closed. If mediation is unsuccessful, or if the parties do not agree to mediation, the investigation will move forward. If the investigation determines that there is cause, then it will attempt conciliation, which can result either in the case being closed or the initiation of a civil action. If the investigation determines that there is no cause (or that the FCHR does not have jurisdiction), then the case either can be closed, or it can go through a series of steps that lead to an FCHR Final Order and a District Court of Appeals appeal. If you do find yourself near or in an FCHR determination situation, it is imperative to seek legal counsel immediately, as the FCHR decision can impact your abilities to bring those claims. 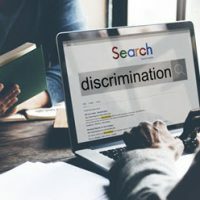 If you have questions about the claim process, an employment discrimination attorney in Florida can help.